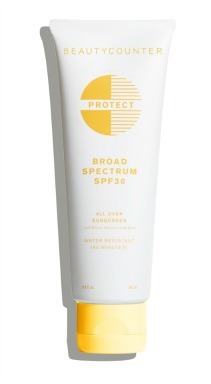 Insulated water bottles are just as important as sun screen when going to the beach. It is very easy to get dehydrated after spending a day in the sun and in the heat. As a registered nurse I've seen plenty of heat exhaustion and a few heat strokes, which can be life threatening. Be sure to pack plenty of plain water for everyone to drink through out the day. Sugary drinks and sodas as well as alcoholic drinks like beer actually dehydrate rather than hydrate. Of course who wants to drink warm water on a hot day? Get an insulated bottle that will keep your water nice and cold and refreshing. Be intentional about drinking water yourself and ensuring that any children keep hydrated through out the day. We bring our carafe water filter on vacation and fill the insulated bottles with filtered water rather than buying plastic bottles of water that leach BPA. I mean amazingly cold. Even after many hours in the heat and hot sun, your drink will be cold and the ice cubes not even melted. Made out of stainless steel so it is unbreakable. A BPA free plastic lid is great as you don't want to be drinking out of cheap plastic bottles in the heat as they release lots of toxins. 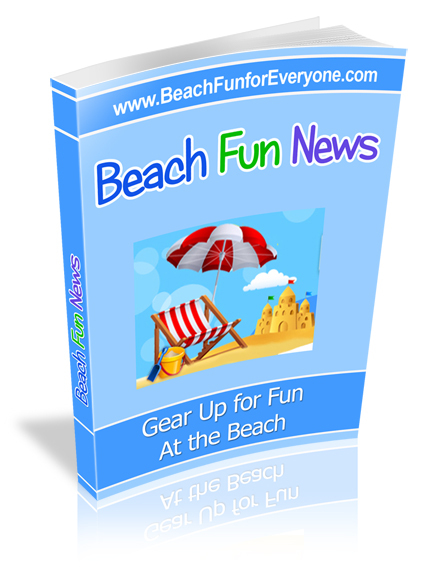 The flip top lid is easy to open and close and keeps out the sand. 1. Do not put anything hot or warm in it. It is only for keeping things cold. 3. It is best to hand wash it although it is dishwasher safe on the top rack. 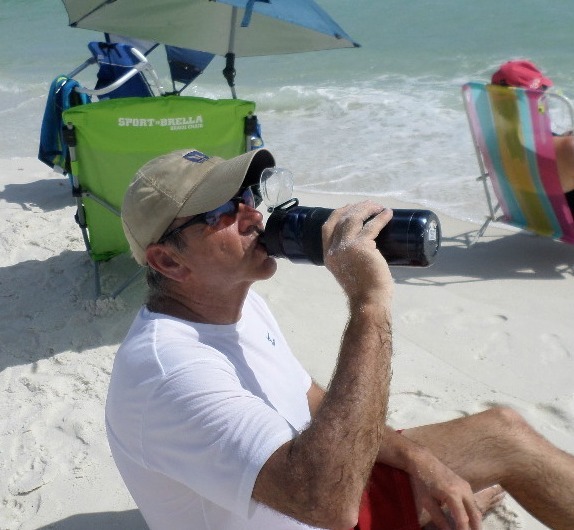 A double wall vacuum insulation makes this BPA free tumbler perfect for keeping your drinks cold at the beach. This stainless steel insulated water bottle is nice and large - holds 30 oz - and will keep cold for over 30 hours - but hey, I'm not staying at the beach for 30 hours. But it's great to have my drinks stay cold for a full day of heat and sunshine. Hand wash only - do not put in the dishwasher, microwave or freezer. Keep your drinks cold for up to 24 hours with this double wall vacuum insulated stainless steel (food grade 18/8) water bottle. It is BPA free and has no liner unlike other aluminum bottles. The powder-coated matte finish exterior comes in several different colors. There's no sweating with this water bottle and your ice will still be ice even after a full day of sun at the beach. It's a wide mouth opening with a screw on lid which makes it easy to add ice to your drink. Many people opt to purchase the flip open lid or the straw lid. Do not use plastic water bottles unless they are labeled BPA free. Bispphenol-A (BPA) is a synthetic estrogen found in some hard plastic water bottles and have been found to cause cancer in lab studies. What's the big deal with the Yeti insulated water bottles? Well, now we know. Given to me as a gift, I don't go anywhere without my Yeti Rambler. 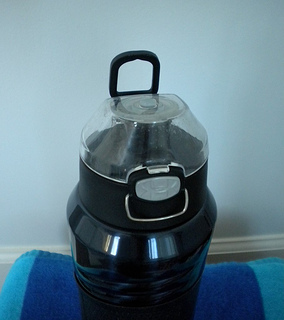 If you like to keep your drink really cold without the ice melting this thing really works. Of course since it's stainless steel it's BPA free and doesn't sweat. Provide water and rest in a cool shaded area for anyone with these symptoms. Heat stroke is a more serious condition and can lead to death. High body temperature, dry red skin, disorientation, convulsions and coma are some of the symptoms that require emergent medical attention by calling 911. 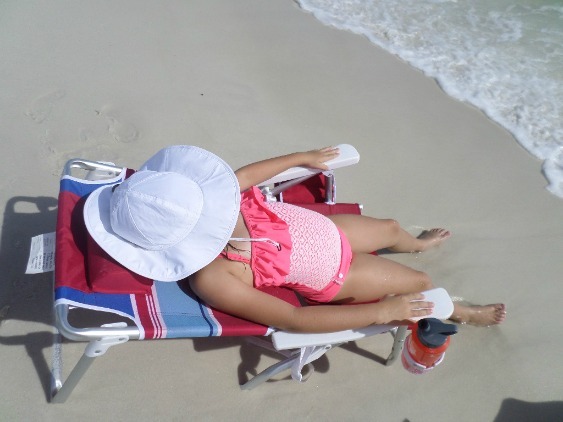 Get the patient out of the sun and lower their body temperature with cold wet towels. Prevention of these heat related conditions is possible by keeping hydrated. It's easier to keep hydrated when your drinks are cold. 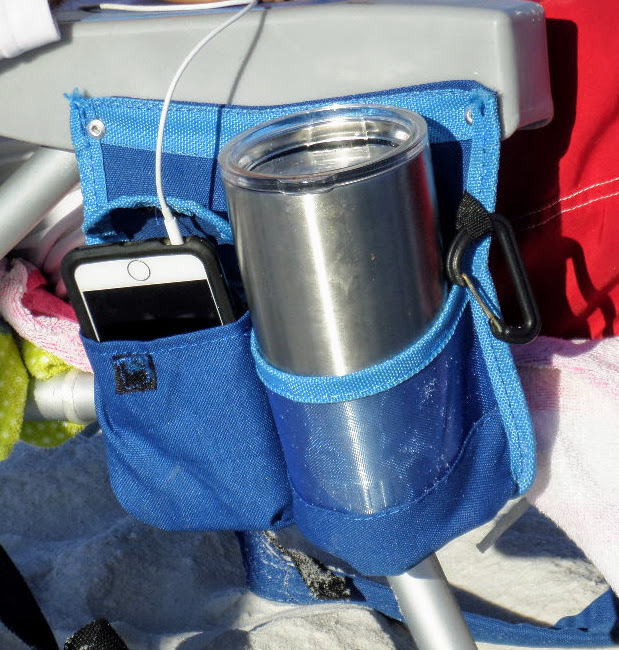 Insulated water bottles need to be on your top ten list of things to bring to the beach!